Date nights and entertaining the kids can be expensive. We don’t want the guilt by saying no to the kids about activities or the small fortune we spend every time we leave the house for an activity or night out. Try some of these ideas without the big expense attached while still enjoying life. Give something new a try once you may love it! 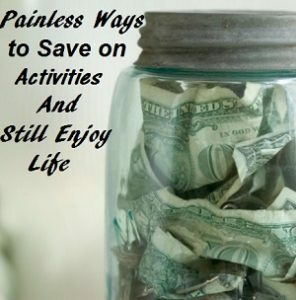 Most importantly, have some fun while enjoying the people you choose to spend your time with trying a new less expensive activity. 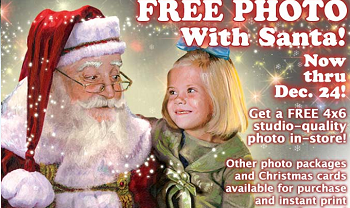 Get a free photo with Santa until December 24 at your local Bass Pro Shops. Plus take advantages of the free kids crafts, games and activities offered through Christmas. Some of the free things to see and play with are remote control trucks, laser arcade, trains, slot car racing, wildlife carousel, laser gun arcade, activities tables and crafts and more. They have so many things to enjoy that you could go there several times. Free Santa Photo and Christmas Activities – Learn the details.